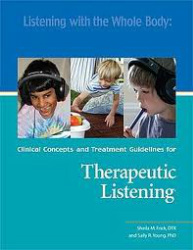 Therapeutic Listening® is an evidence-backed protocol that combines a sound-based intervention with sensory integrative activities to create a comprehensive program that is effective for diverse populations with sensory challenges. 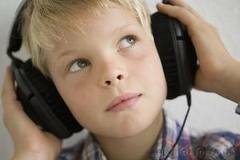 Therapeutic Listening can impact sensory modulation, attention, behavior, postural organization, and speech and language difficulties. 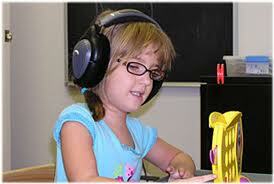 Trained therapists learn to use modulated CDs to set up programs for clients in homes, schools and clinics. 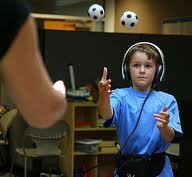 Listening is a function of the entire brain; when we listen, we listen with the whole body.